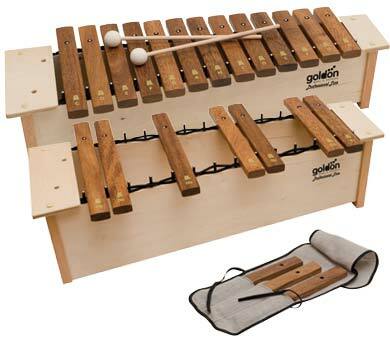 Goldon Professional Line Alto Xylophone Set - comprises models 10210 and 10215, beech wood frame, 10mm birch ply sound box, finely tuned sucupira sound plates. Model 10210 features 13+3 notes (C1-A2 + F#1, Bb1 & F#2), including linen bag for half tones, with 2x 30mm felt headed beaters. 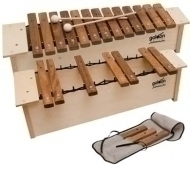 Model 10215 features 7 notes (C#1, D#1, G#1, C#2, D#2, G#2, Bb2), without beater.